HMD Global is all set to host its Mobile World Congress 2019 event on February 24. At the event, HMD is finally expected to launch the five camera Nokia phone, which has been rumoured to be called the Nokia 9 PureView. A lot has already been talked about the Nokia 9, and now, the latest leak confirms the coming of the phone even further. It is worth noting that HMD Global is yet to confirm which phone the company will launch at its MWC 2019 event on Feb 24. The latest leak comes all the way from Google itself. The Nokia 9 PureView has accidentally been spotted on Android’s Enterprise catalogue. 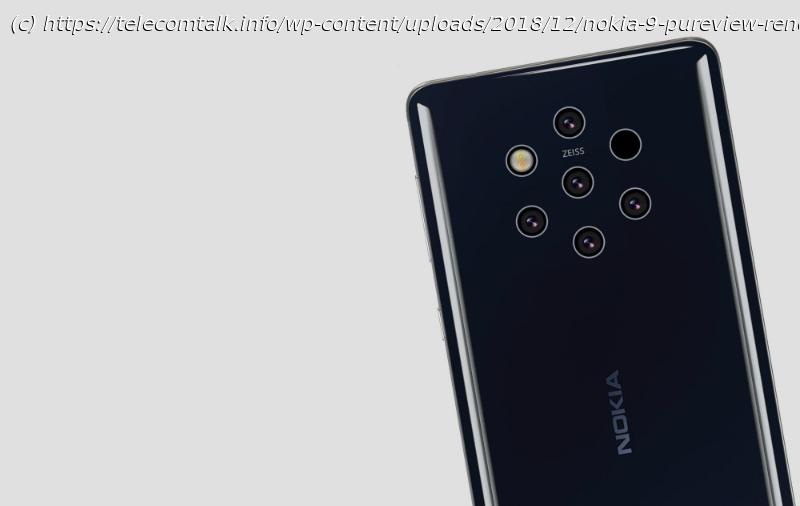 The listing not only reveals some of the key specs of the Nokia 9 PureView but also shows a picture of the phone from the front. Interestingly the picture goes in line with the photos and renders leaked in the past.